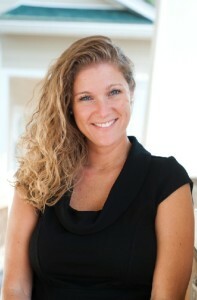 Erin is the Managing Member of ELAC ( formerly known as Erin Long Accounting and Consulting). Originally from Chapin, South Carolina, Erin is a graduate of Chapin High School. She received her BS in Business Administration with a Major in Accounting from the University of South Carolina Darla Moore School of Business. After working in Public Accounting as a Tax Manager for firms in Columbia, SC and Durham, NC, Erin received her Master’s in Business Administration with an emphasis in Finance from Brigham Young University Marriott School of Management. She then worked for Merrill Lynch on Wall Street in New York City. Realizing her passion was working with small businesses, she decided to return to Chapin, SC and pursue that dream. In 2009, Erin returned to South Carolina and began her work with small businesses throughout the state. Erin previously served as Treasurer and Chairman of the Greater Chapin Chamber of Commerce and Treasurer for the Greater Chapin Community Endowment and has retained her membership. She currently serves on Lexington County Council for District 6. In her spare time, Erin enjoys being outside, reading and spending time with friends and family. Contact Erin using the form below.